River Studio specialises in creating fine art prints in a wide range of sizes for artists working in traditional and digital media, supplying artists, photographers and galleries throughout the UK. 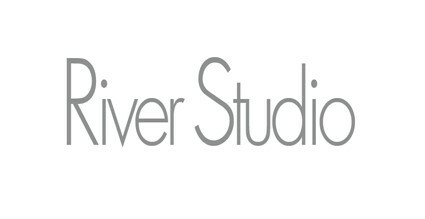 River Studio fine art Giclee prints are created using large format 44" and 24" high resolution print technology, employing the very finest acid-free 100% cotton art papers and uv-encapsulated pigment inks for fully archival, museum grade prints. We offer a full artwork copying and reproduction service for artists working in traditional media and have many years experience in the creation of open and limited edition art prints and certificates. 1) Entries may only be sent via email to xmas@airscene.co.uk no later than midnight on 14th December 2019. There is NO shortlisting - all entries will be entered. 2) Each entry must be accompanied by the entrants name and address OR mailing list number plus details of where and when taken. *Entries should be submitted in a 3 x 2 ratio and be at least 1MB file size. 5e) has been published in a magazine, book, calendar or similar. 6) Any entries found to breach rule 6) OR found not to be the work of the entrant (stolen or otherwise) will be disregarded and the entrant banned from further participation. Airscene will not tolerate cheating and will treat all information provided in relation to such breaches very seriously. In cases of copyright theft Airscene will pass the entrants details upon request to the other parties legal representative. 7) Prize winners contact details will only be passed on to competition sponsors for the purpose of delivering prizes. Airscene DOES NOT share your contact details with 3rd parties in accordance with the Data Protection Act. Your details will however be added to the Airscene mailing list in order to provide competition updates and news. 8) This competition is open to entrants from the UK only. 10) NO rights to reproduction by either Airscene or sponsors/judges are sought, except for the purposes of advertising Airscene Christmas Competitions. This right will not be exclusive and copyright shall remain with the entrant. 11) Family members and relatives of either sponsors or judges are not permitted to enter.